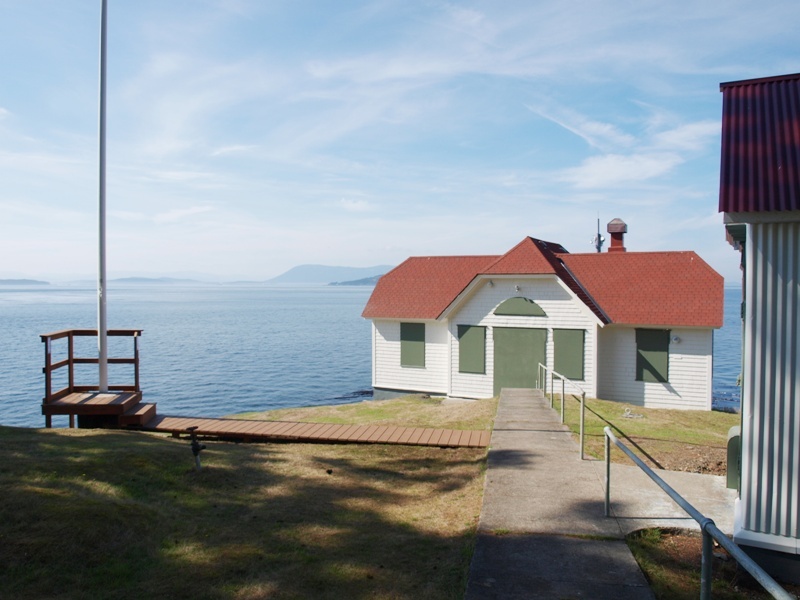 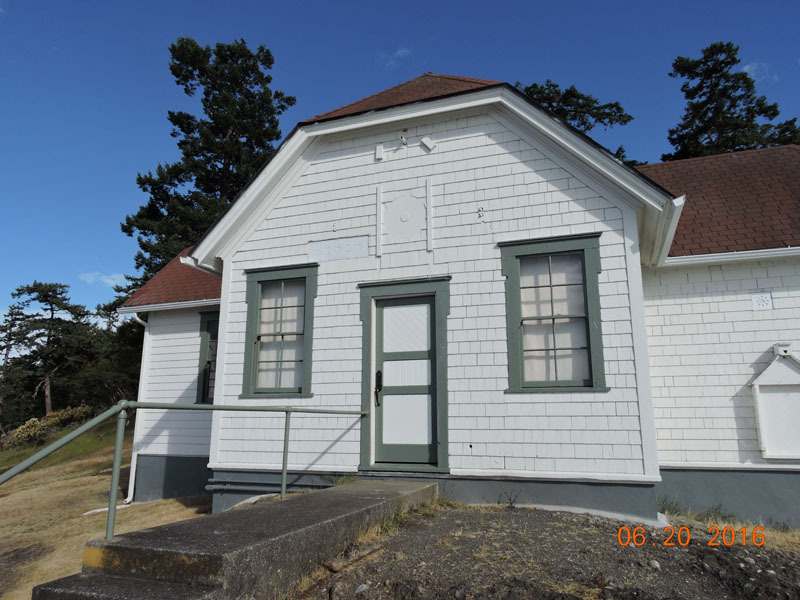 The restoration of Turn Point Lightstation is being conducted by the Bureau of Land Management (BLM) in conjunction with the United States Coast Guard. 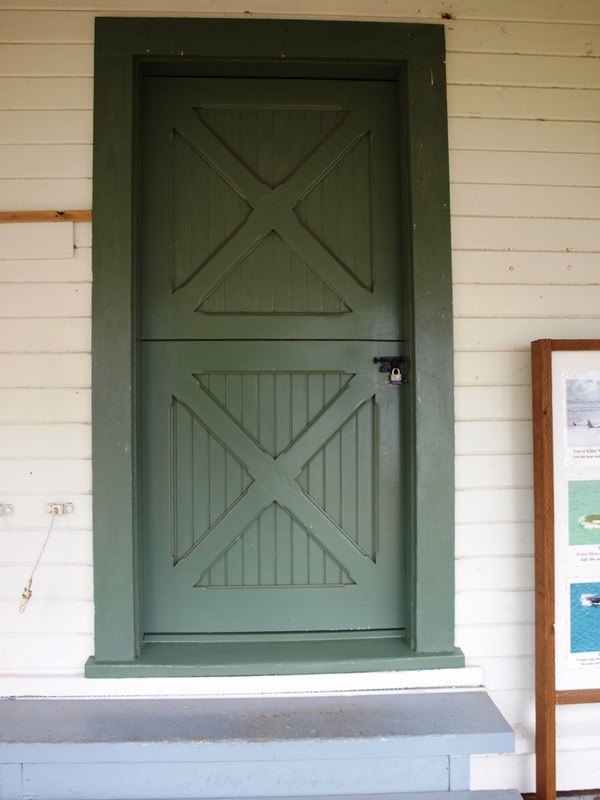 It is happening in three phases. Phase 1 is to stop the deterioration. 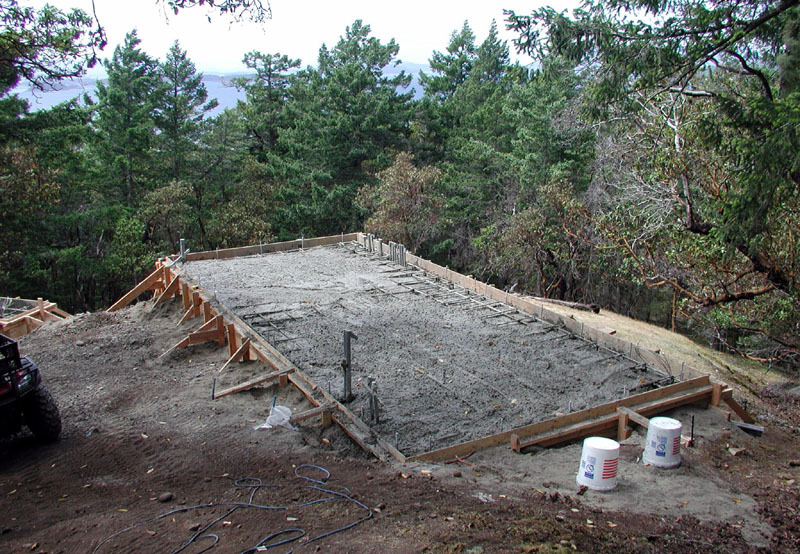 Phase 2 is to add power and heat. 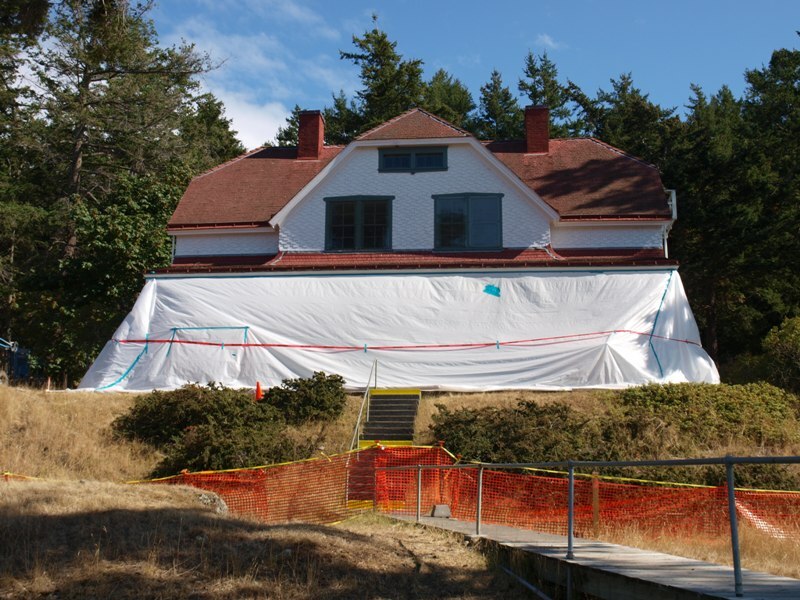 Phase 3 is progressing and could include a guest keeper program. 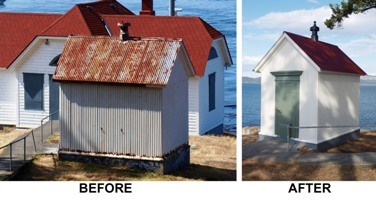 The Turn Point Lighthouse Preservation Society (TPLPS) is doing smaller restoration projects. 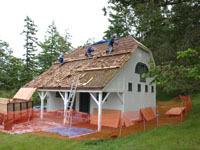 A contract was let by BLM to repair the roof on the barn and keepers' quarters. 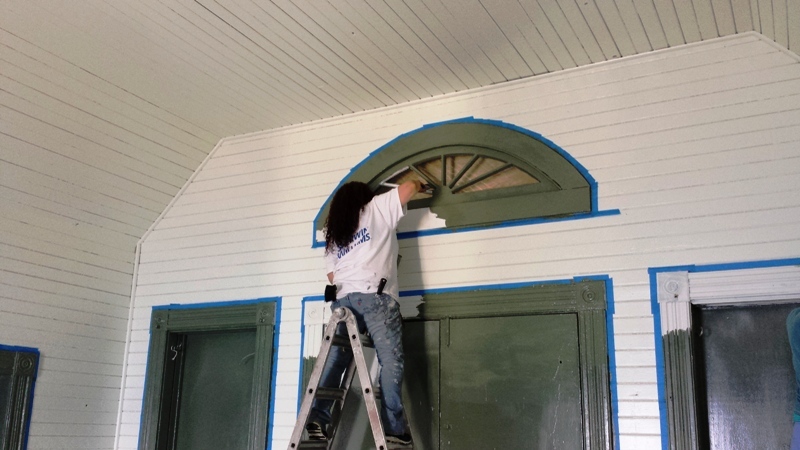 Windows had to be removed and sent out for restoration. 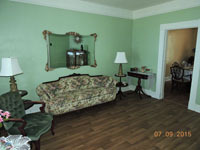 New wavy glass was installed to match glass used in the early years. 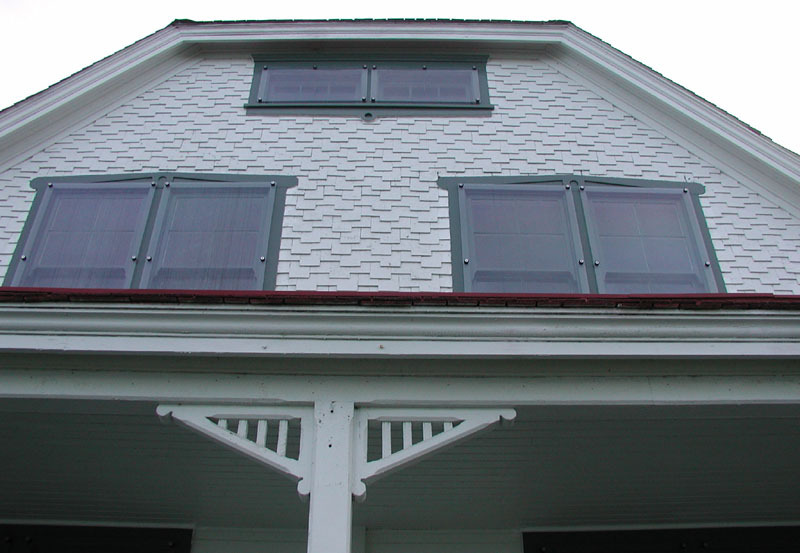 After restored windows were reinstalled, a rock proof cover was placed over them to minimize vandalism. 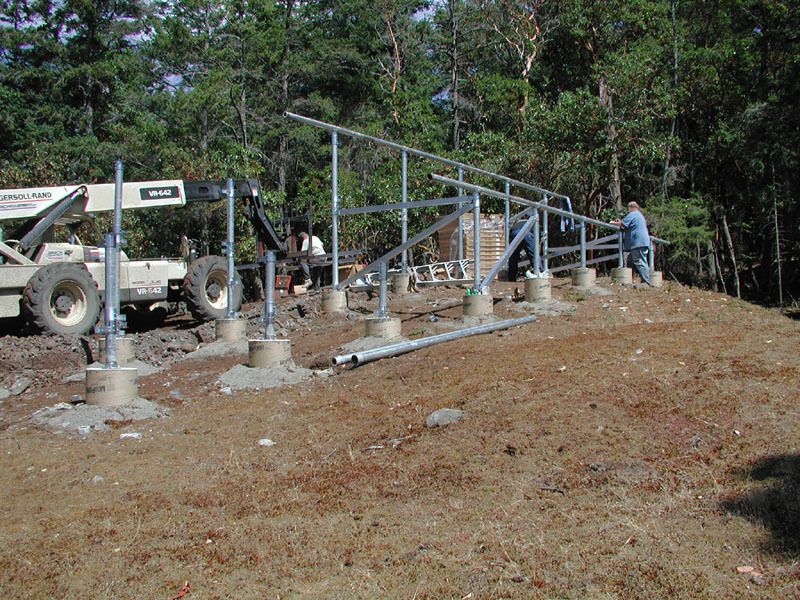 2006 - BLM and the Coast Guard adding power and microwave. A site was chosen on the hill above the lightstation to build a power station. 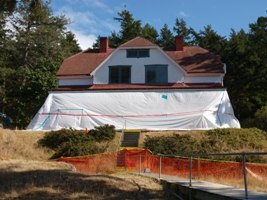 It will have solar panels, a propane generator, batteries, and inverters to supply power to the Coast Guard equipment as well as the keepers' quarters. 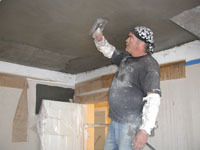 The power building under construction. 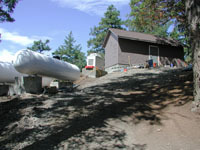 It is scheduled for completion in late summer 2006. 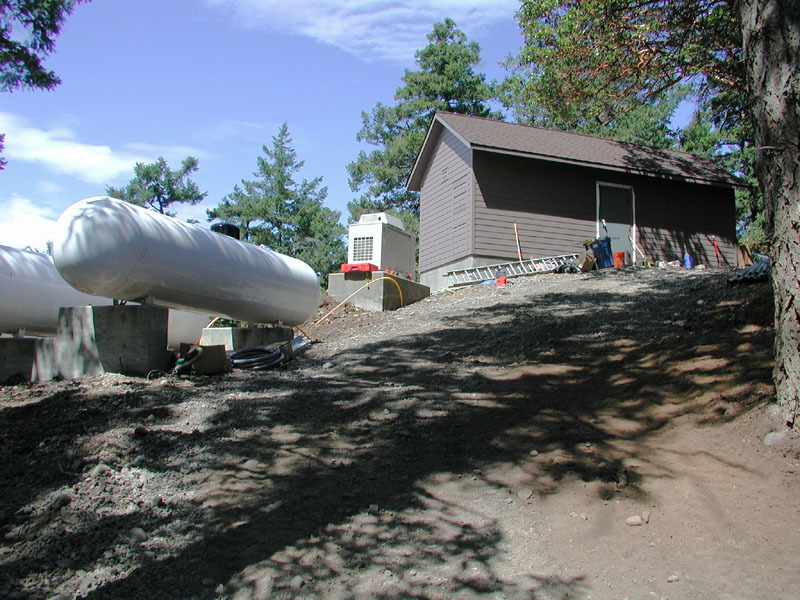 7/31/06 Update: The power building nearing completion with propane generator and tanks. 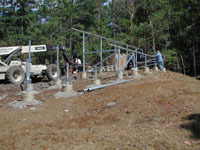 7/31/06 Update: The solar array under construction. 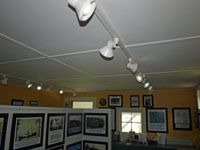 90 each 175 watt solar panels will charge the batteries. 8/06 Update: BLM hired a contractor to repair plaster in keepers' quarters and install propane furnaces to keep building dry and stop deterioration from weather. 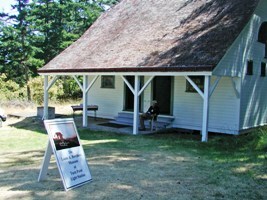 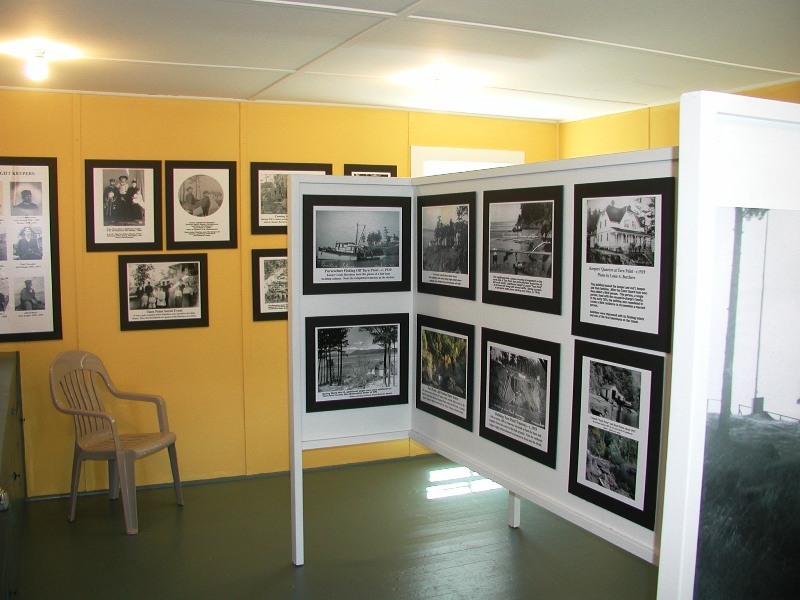 7/08 Update: TPLPS opened a museum in the "Mule Barn". The museum is called "The Louis A. Borchers Museum at Turn Point". It was funded by a grant from the State lighthouse license plate fund. 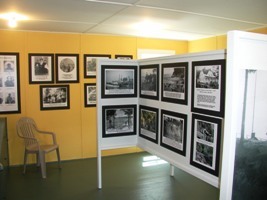 7/08 Update: The museum contains many old pictures. 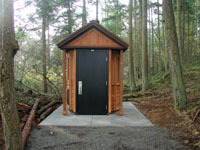 11/08 Update: BLM had the old, smelly outhouse replaced by one fitting the surroundings better and it should be more pleasant to use! 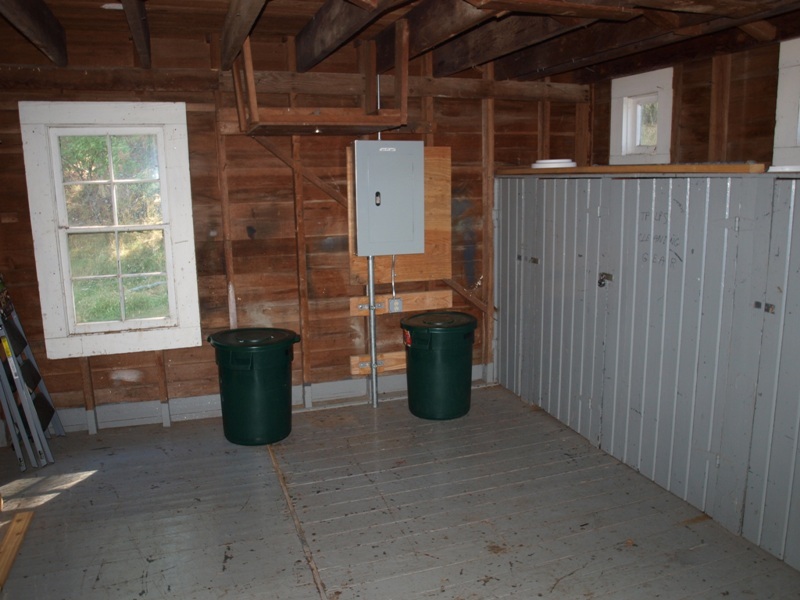 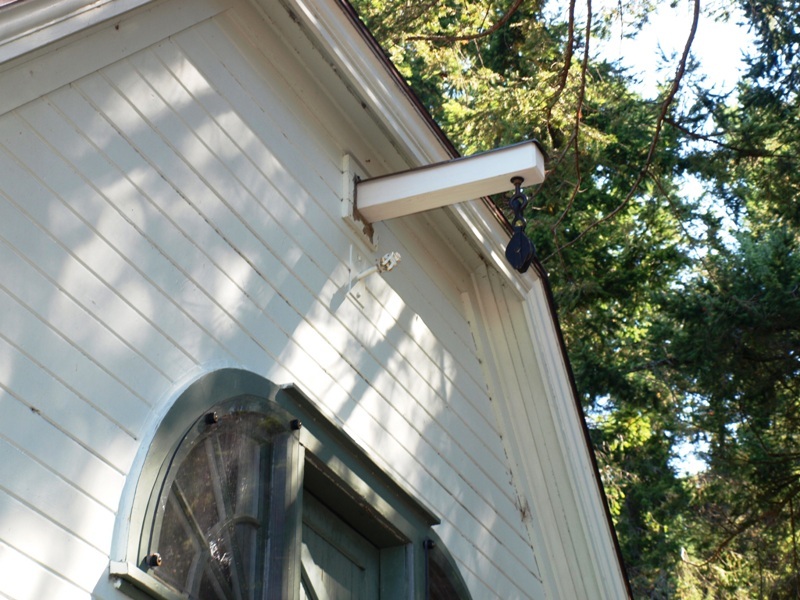 05/10 Update: TPLPS hired a contractor to rewire barn and add track lighting with LED bulbs using funds from State Lighthouse License Plate program. 07/10 Update: BLM hired a roofing contractor. 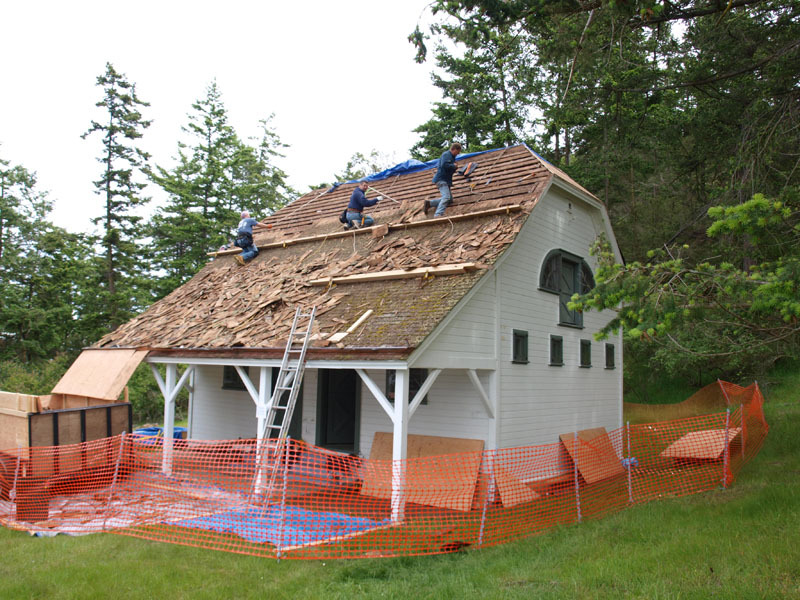 The deteriorated shingle roof on the barn was torn off. 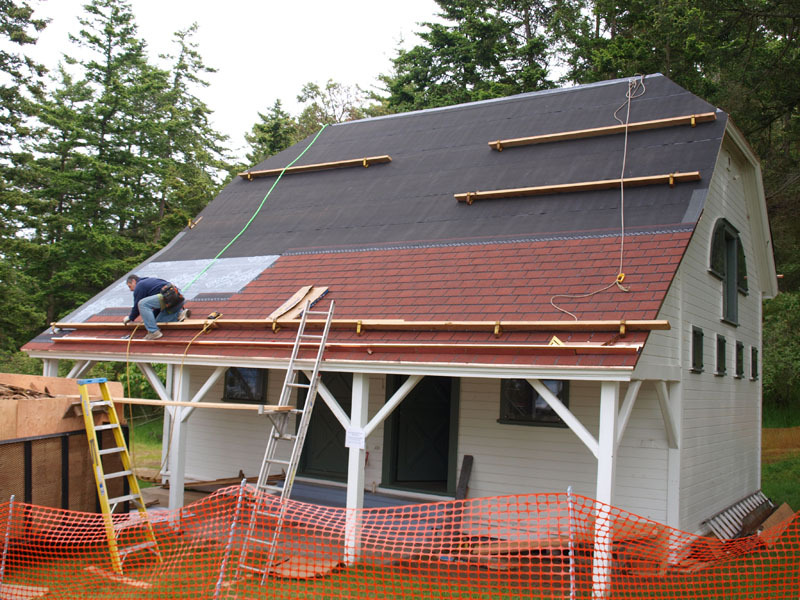 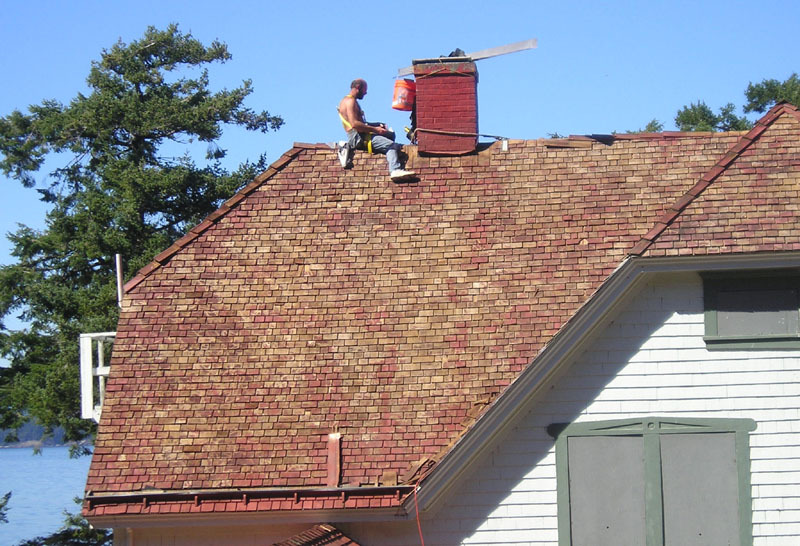 07/10 Update: A new historically acceptable composition roof was installed. 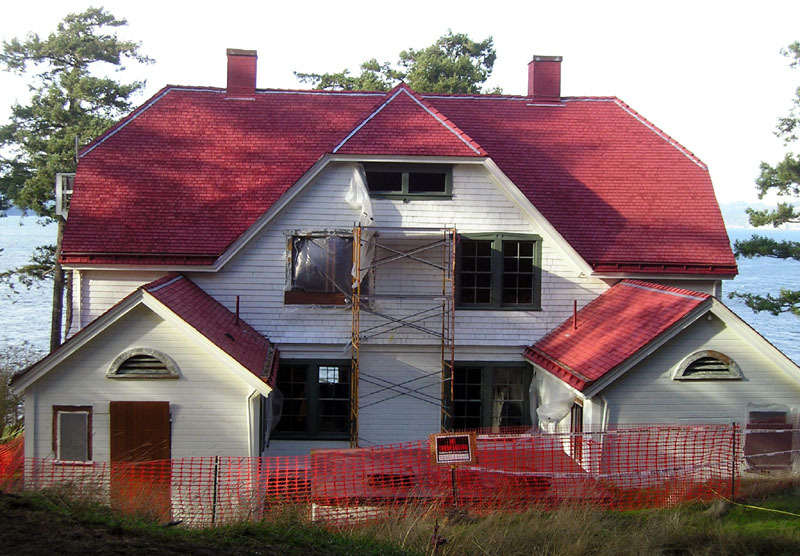 07/10 Update: The finished roof with copper gutters and flashing. 8/12/2010 - TPLPS installed a new fiberglass flag pole on the base that was poured in October of 1914. 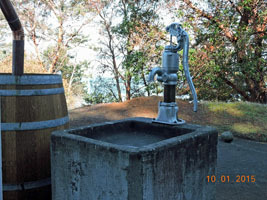 It was paid for by funds from our treasury. 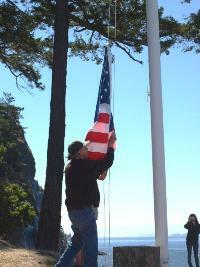 8/12/2010 - Watch a video of the first flag raising in 36 years. 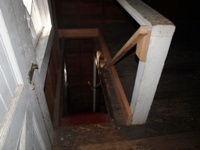 6/11 Update - TPLPS hired a contractor to correct safety issues in the "Mule Barn" using funds received from the State lighthouse license plate fund. 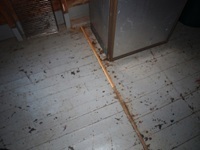 A gap in the floor was filled where rodents were entering. 6/11 Update - The staircase was reinforced. 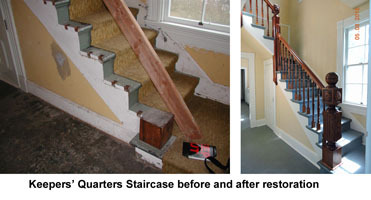 6/11 Update - Missing hand rail was replaced and toe boards were added. 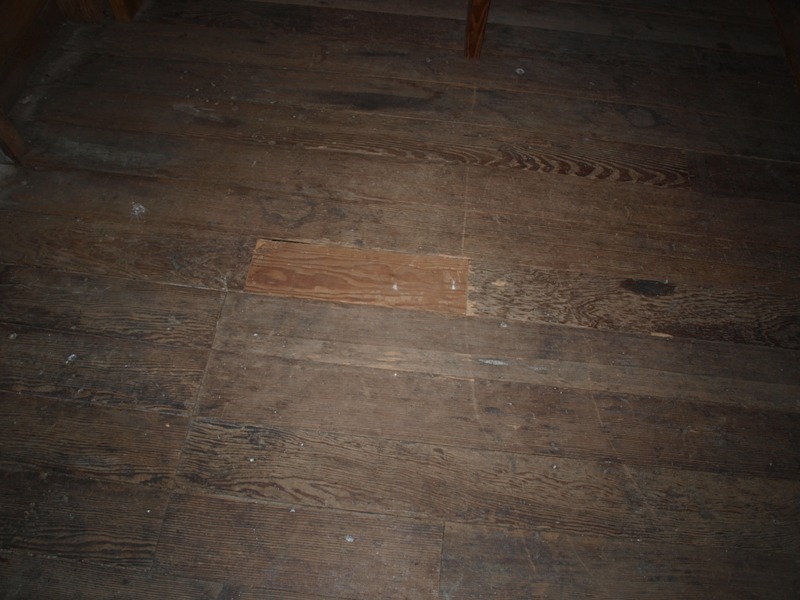 6/11 Update - Floor boards damaged by powder beetles were replaced. 6/11 Update - Missing Pulley and beam were replaced. 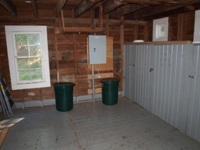 6/11 Update - The non-museum side of the "Mule Barn" before. 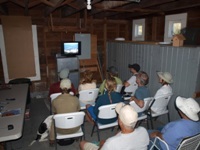 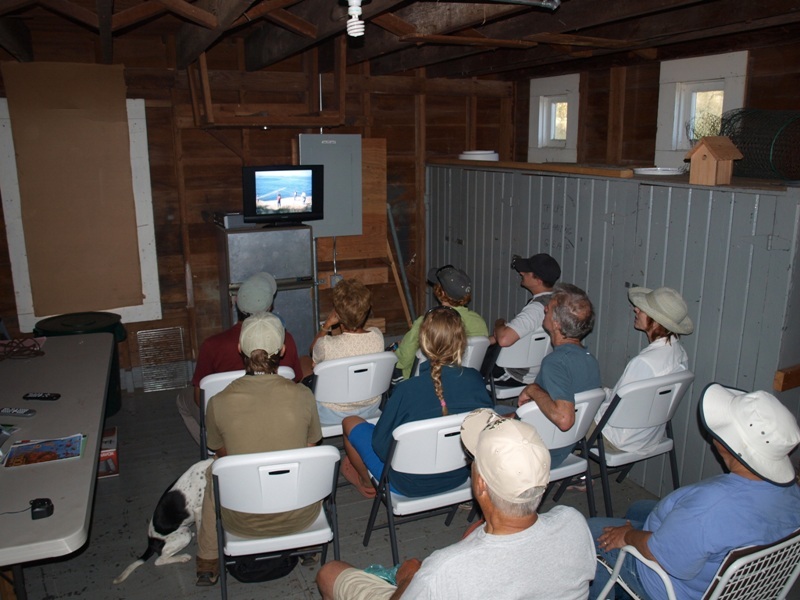 8/11 Update - TPLPS opened an audio-visual room where visitors could view a DVD of Turn Point. This was also funded by the State lighthouse license plate fund. 9/11 Update - The threshold was missing on one of the doors to the "Mule Barn". 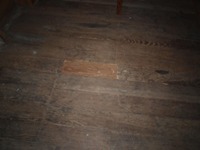 9/11 Update - A TPLPS volunteer replaced the missing threshold. 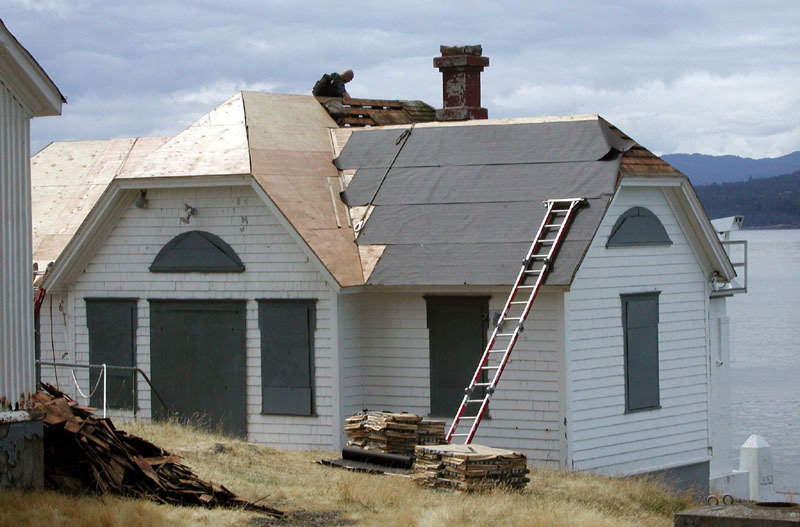 2012 - BLM hired a contractor to "encapsulate" the lead paint on the Keepers' Quarters, Barn, Fog-Signal building, smokehouse, and water tank. 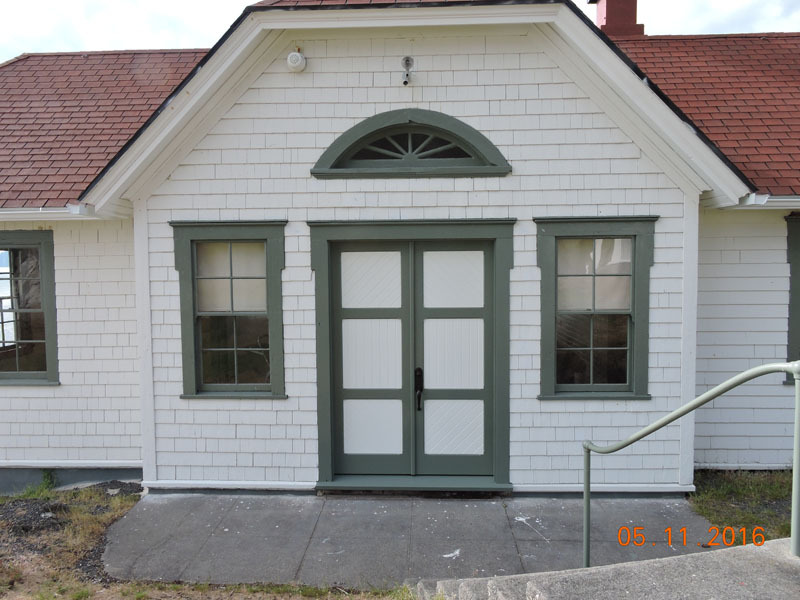 2013 - TPLPS hired a OSHA approved painter to paint difficult areas of fog-signal building. 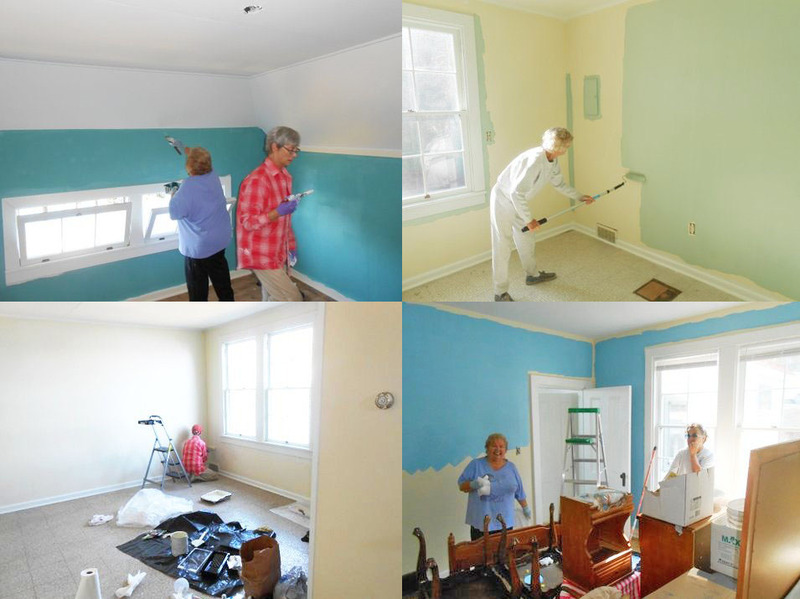 2013 - TPLPS held several "paint parties" where volunteers painted in the keepers' quarters and fog-signal building. 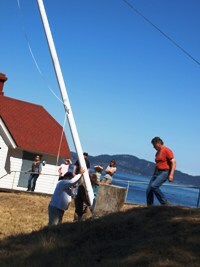 2013 - TPLPS volunteers constructed a walkway from the main sidewalk to the flagpole. 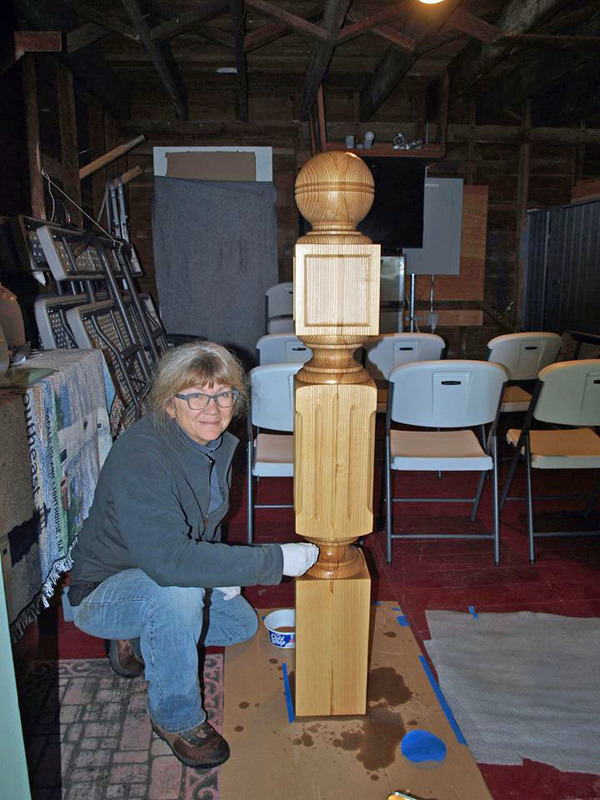 2014 - TPLPS volunteer Diana Friend with replacement newel post she made. 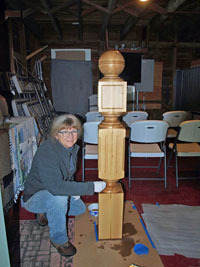 She made all the balusters and bannisters needed to restore the historic staircase. 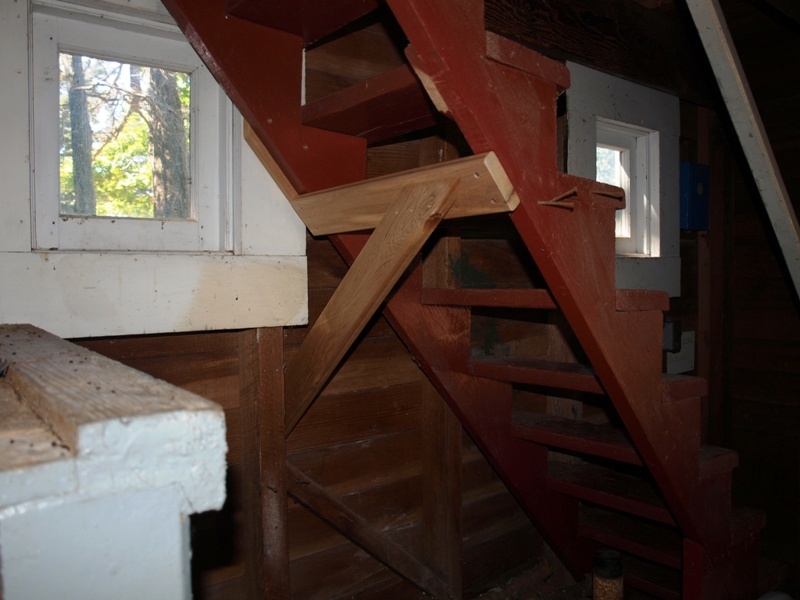 2015 - TPLPS volunteers restored historic staircase in Unit #1 of keepers' quarters. 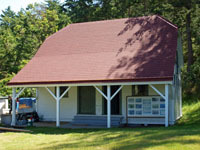 2015 - TPLPS furnished the keepers' quarters as it might have looked in 1950. 2015 - Contractors reactivated the cistern, installed a sump pump, and installed a vintage hand pump. 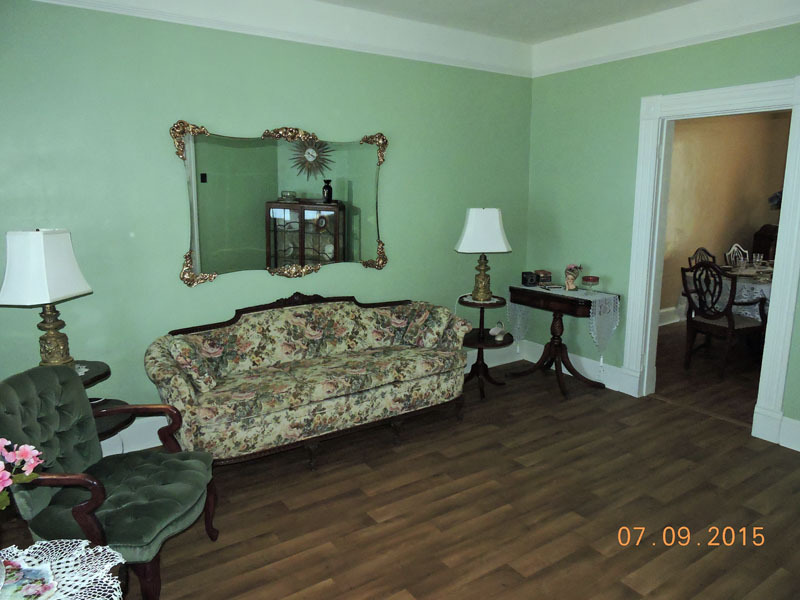 2016 - Finished retoring and furnishing upstairs in keepers' quarters. Now part of tour. 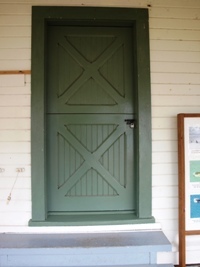 2016 - TPLPS contracted to have new doors that matched the 1893 originals. TPLPS volunteers restored the windows. 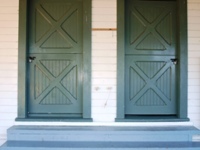 2016 - Door toward light was also replaced and matched the original. 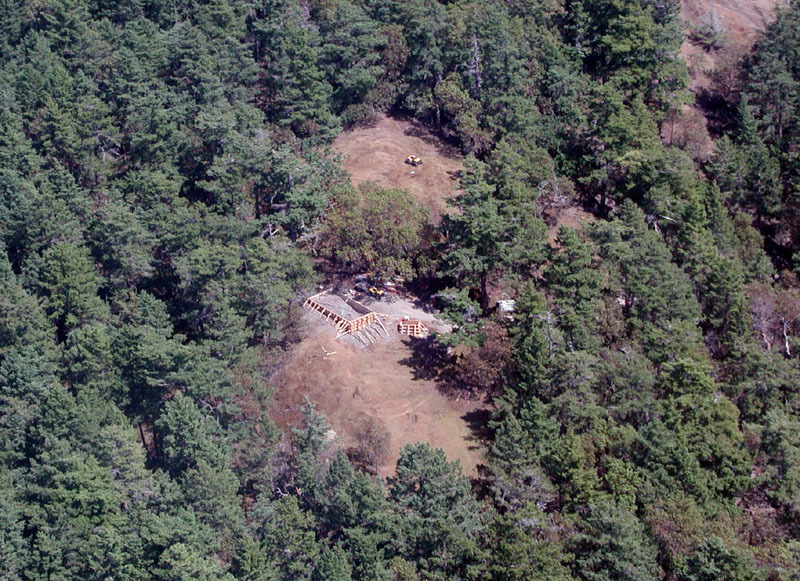 2017 - Two telescopes were provided for visitors. 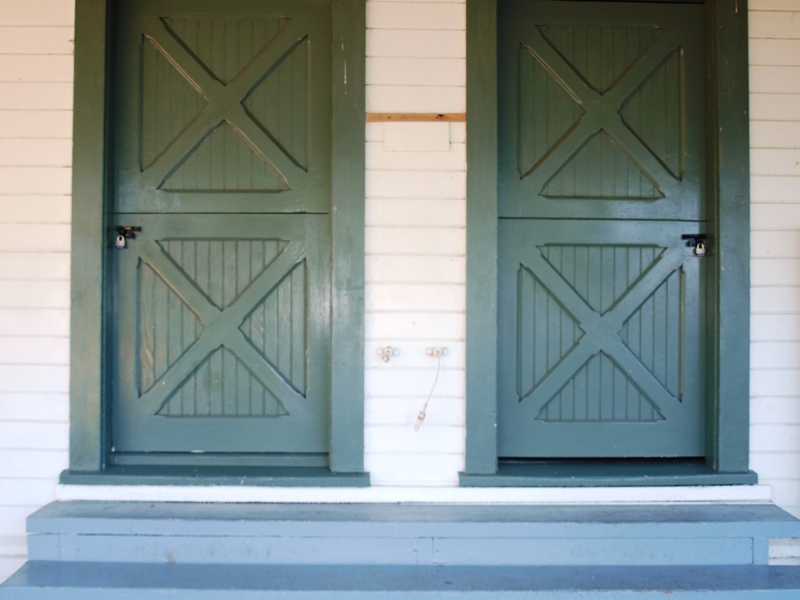 No money is required. 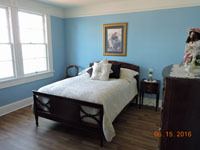 They will be available May through September each year. 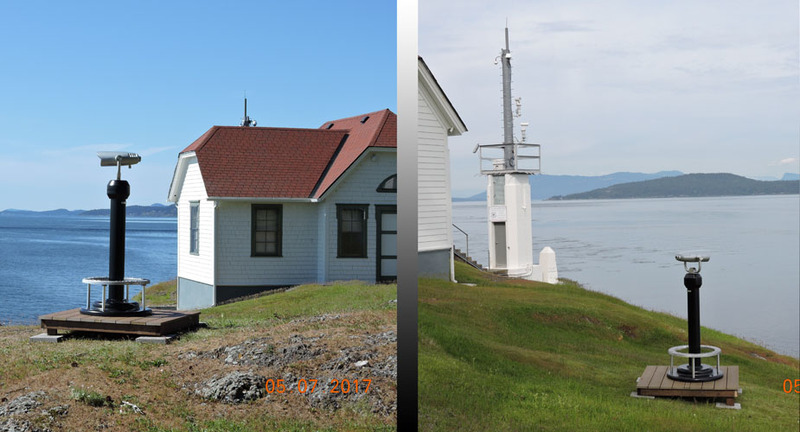 One covers Haro Strait and the other Boundary Pass. 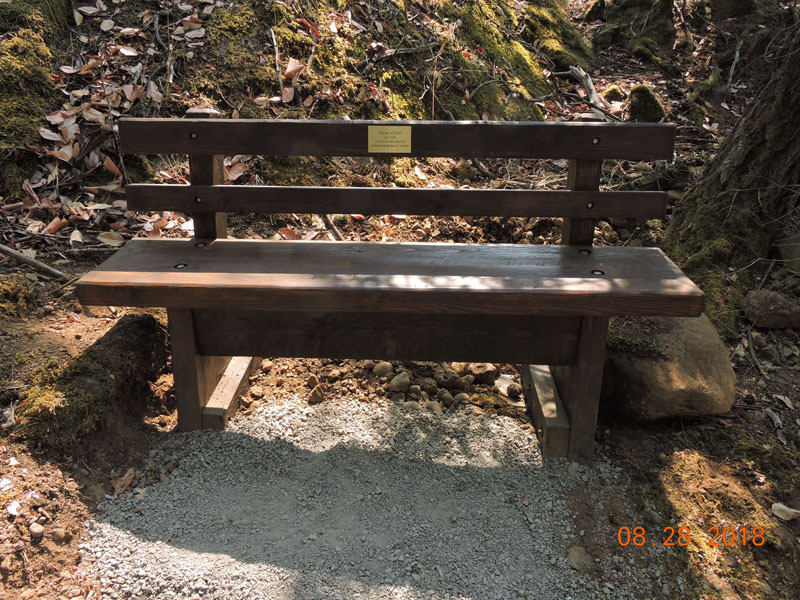 2018 - A visitor who wants to remain anonymous funded another bench at the steepest part of the road. Tourists can rest there before reaching the top of the hill. 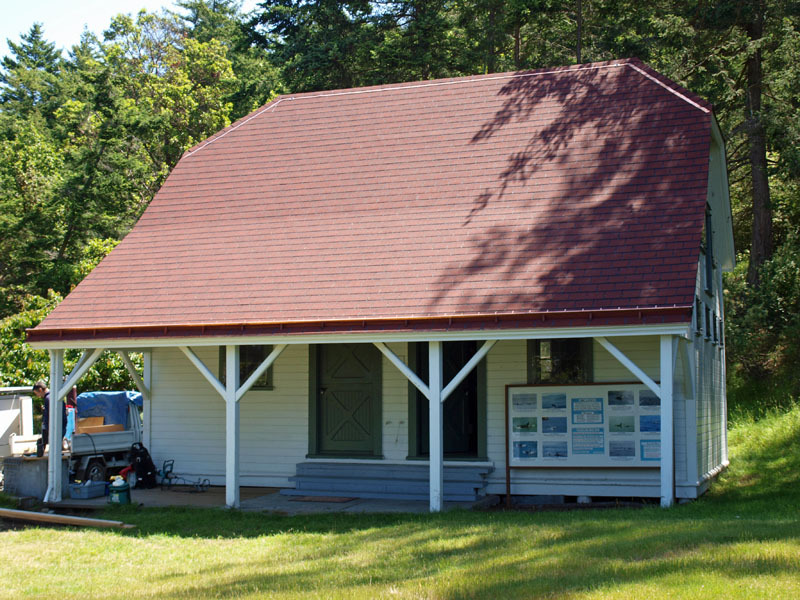 It was built by a member with lumber milled on Stuart Island by another member. 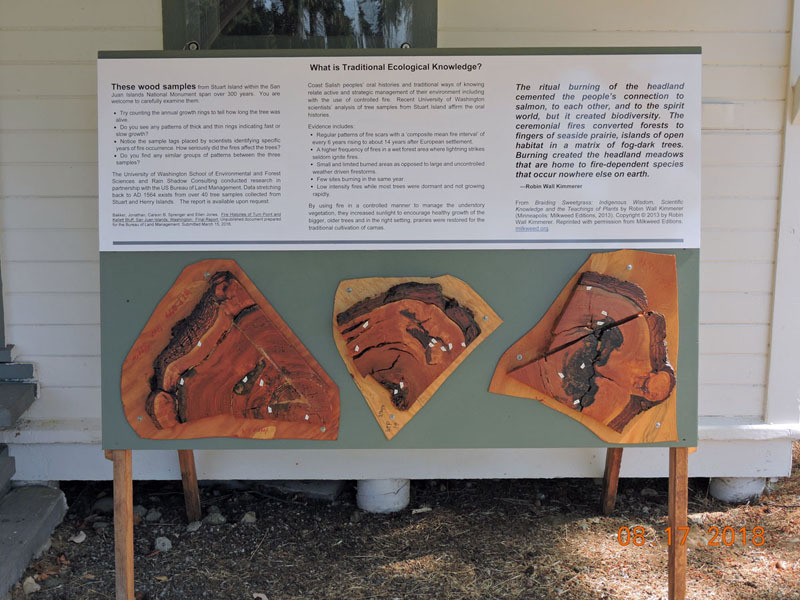 2018 - TPLPS erected a display explaining the importance of fire and native use of fire to protect the forests. Slices of trees cut on Stuart Island show when fires hit the tree.